After seeing Miss Death Star the other day, it made me wonder what other cool, retro geek-chic outfits were out there for those of you without the time to make a DIY cosplay getup. These tube dresses will allow you to dress up like a life-size Nintendo Game Boy. Each one is sewn from a jersey knit fabric, in colors everyone will identify with the Nintendo Game Boy. They come with some felt A/B buttons, as well as some ones for Start and Select, all placed in potentially inappropriate locations for pushing, unless you’re very intimate with its wearer. While this particular Nintendo dress just sold yesterday, you can be sure that Etsy shop HereandThereVintage will continue to offer some pretty cool clothing for all geekettes. She’s got other versions of the same dress, which look just as cool. 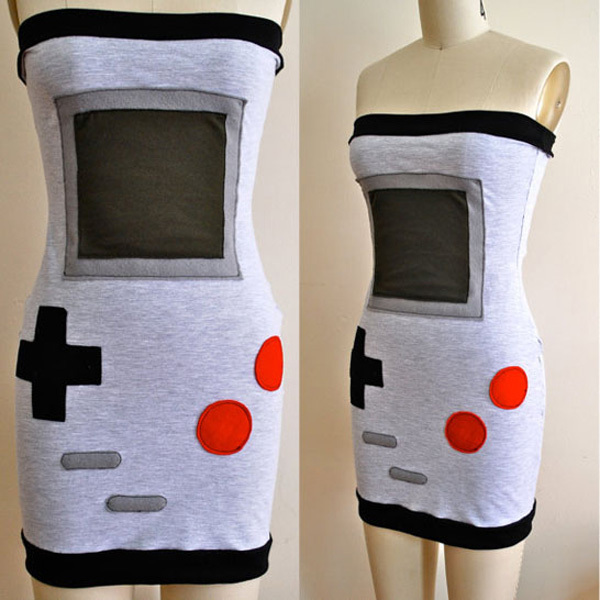 The Game Boy dress sells for $65-70 (USD). 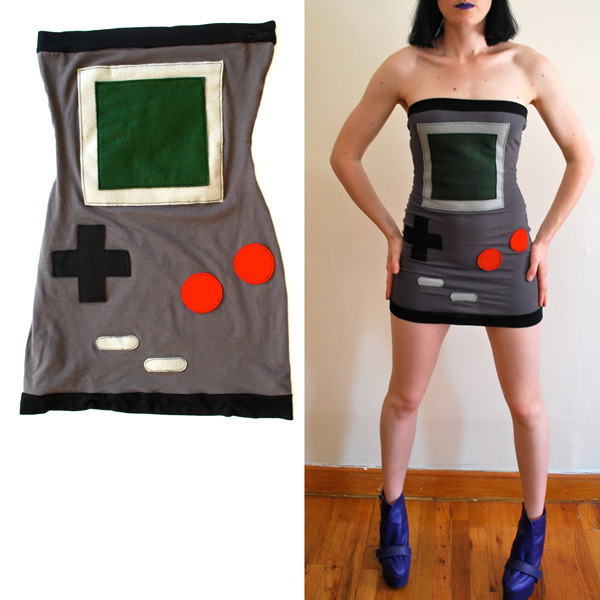 And if they’re sold out, be sure to check out SewOeno’s Game Boy tube dress we featured last year.